Mrs. Yollis saw a tweet from Mrs. Moore about Michigan weather. The post looked very interesting. We will be looking at the Techie Kids' post tomorrow and leaving comments, but we thought we'd share a few current photos from California. Here in southern California the winter temperatures are mild. February is the rainiest month, but as you can see from the clothing students are wearing, it is not very cold today! Although the deciduous (də • sid • u • us ) trees are still bare, some are starting to sprout and shows signs of spring. Because the air temperatures are so mild, many people play outside and go for hikes on the weekends. 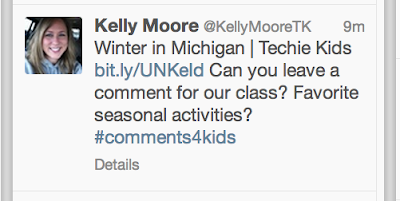 Head over to the Techie Kids blog and leave them a comment about your weather! Michigan's winter climate is very different than ours! In Australia we have very wacky weather here. In Queensland there have been floods and in Victoria we have rain one day and the sun is shing the next! It is hard to choose what to wear even though I have to wear a uniform in Leopold Primary School. I hope you have clean up after the snow blizzard. Wow! It does sound like the weather has been quite wacky! However, we get that here too. 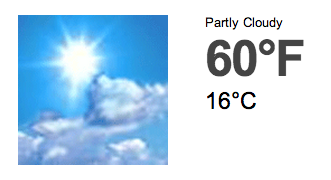 For example, last week is was in the high 80s, then it rained, and now it is in the 60. Do you know how to convert 80˚ and 60˚ to C? We actually don't get snow or blizzards here in the Los Angeles area. We get rainy days, but it never gets cold enough to snow. Does it snow in Leopold? It does not snow in Leopold because in the southern hemisphere where I live, it does not get cold enough to make snow. Sometimes when it rains hailstones, it can look like snow. I can not convert degres into Celsius. How do you convert Fahrenheit into Celsius? Right now I am in Tech on the teacher's computer but I wanted to share with you what it is like in Michigan. Right now it is snowing and it is 24 degrees and I see that in California it is 60 degrees! My favorite winter activities are: snowball fights, making snowmen, and sledding. Have you ever done any of these things? Please reply I think it would be fun and I'd feel happy. Ryan's favorite activities are the same as yours, except for one thing. He loves to also is drink hot chocolate. Jenna's favorite things when it snows are to build snowmen with her daddy at Mammoth and sled. Sadly, Jenna broke her thumb while sledding last weekend. Savannah's favorite thing to do in winter is to go to her aunt's house in Utah where it snows. Why does it get so cold in Michigan and so warm in California? How close are you to Lake Michigan? Do you ever swim in Lake Michigan? I also enjoy drinking hot chocolate. It is very cool that we have so much in common. I am very sorry about Jenna’s finger and I hope it heals quickly. I think we get more snow in Michigan because we are closer to the north pole. You are closer to the Equator. We also have the lakes around us and you have water only on one side. I wonder if that has anything to do with it. I am not relatively close, from my house the drive is about 3 hours. We are closer to Lake Erie and Huron. I saw your comment. It is not 60 degrees in this part of Michigan. It is windy, and the sky is gray, also it's 25 degrees here. Other than that it's snowing! Also have you ever went sledding, or a had a snowball fight? I hope you reply to my comment! Thank you a lot for writing your blog about our website. I really like your website. I have been wondering about how cold your temperture gets there so if you can tell me? That would be really cool. Wow spring is already coming up for you. We have about a month probably. This morning the temperture was 24 degrees. If one of you students of Mrs. Yollis could tell me about your school it would be really cool. Our school colors are red and white. We live by a large lake. We have a library, gym, art room, technology room, and all the different classrooms. 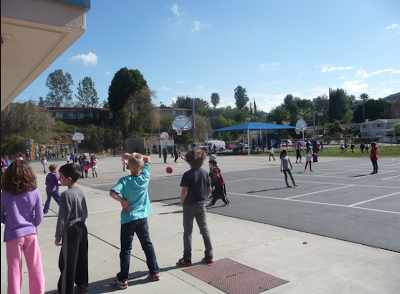 What is your favorite thing to do outside at recess? Thank you for talking about us. It's just so nice to have a blog! I always wanted to type something to a teacher. This is my first time. I'm so excited to do it! Do your students use the blog? Or is it just you? How is California? In MI its been cold and snowy everywhere! I looked at your weather forecast and I wished I was there! We think it is very cool that you were talking about us! We don’t know how you know us but we think it is cool. We read that you and Mrs. Moore used Twitter! We can’t believe people far away can talk to us. It is snowing this morning. It’s very windy and we think we’ll get a couple inches of snow. Do you ever get snow there? We like your outside pictures. It looks like a nice day. We wish it was time for short sleeves for us. But it would be too cold and we would be freezing! We hope you can talk back to us. We haven’t done this before but we like it. Thank you. What a sweet surprise to see our little blog show up as one of your posts! I am smiling, ear to ear. :) Weather has definitely captured our attention. We’ve enjoyed comparing and contrasting our current temperatures and seasons. Today, our third graders had an excited talk about why we have different seasons. We unanimously declared that the tilt of the Earth as we revolve around the sun gives us our seasons. We liked the look of the National Weather Service’s forecast. The forecast for our area looks pretty consistent over the next week. However, Michigan has been known to have some big weather changes in a short time. I remember a time when the temperature here was in the upper 70’s, nice and warm, but by the end of the week, it snowed! Maybe that will help you understand that people who live here say, “If you don’t like the weather, wait a minute. 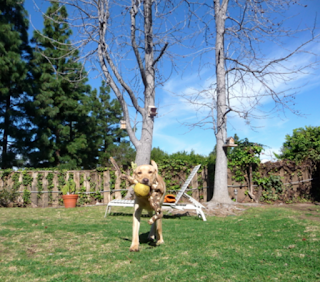 It’ll change.” Does California have any sayings that you could share with us? Thank you for helping us with our learning! Thank you a lot for writing your blog about our website. I really like your website. I have been wondering about how cold your temperture gets there so if you can tell me that would be really cool. Wow spring is already coming up for you we have about a month probably. This morning the temperture was 24 degrees. If one of you students of Mrs. Yollis could tell me about your school it would be really cool. Our school colors are red and white. We live by a large lake. We have a library, gym, art room, technology room, and all the different classrooms. 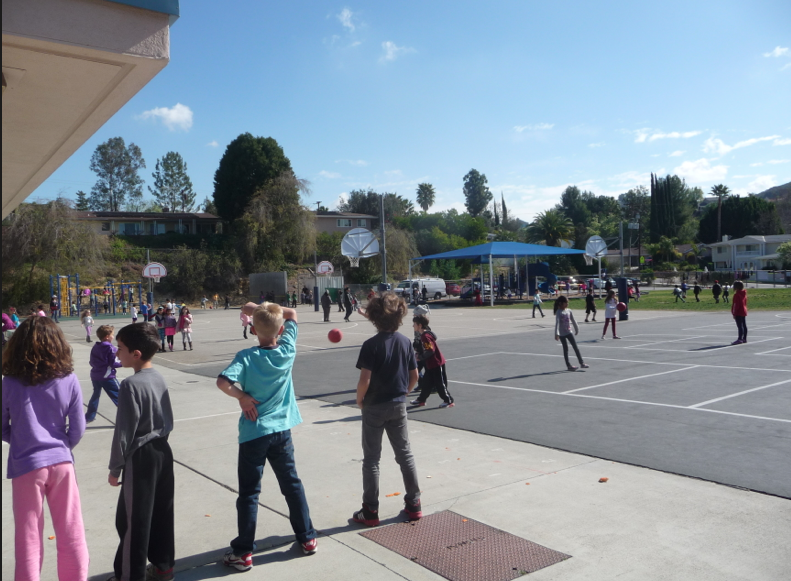 What is your favorite thing to do outside at recess? I saw your comment. It is not 60 degrees in this part of Michigan. It is windy, and the sky is gray, also it's 25 degrees here. Other than that its snowing! Also have you ever went sledding, or a had a snowball fight? I hope you reply to my comment!